Default Dim level based on time of day - I realize this sounds simple on the surface, but there is an important distinction: Most dimmers I’ve found you cannot change the dim level without the light coming on. This is very problematic. I want to be able to go into the bathroom, tap the dimmer once, and if it’s past 8pm be at dim level 50%. The dimmer itself has a local dim level that takes effect right when you turn on the dimmer. Yes, you can have a smartapp immediately change the dim level to 50% as soon as it comes on, but if it was at 100% before there will be a brief instant where you get blasted in the face with 100% light before it goes down to 50%. Similarly, I’ve seen solutions where right at 8pm a program will set the dim level to 50% and then immediately turn the light off. This is clever, but still you run the risk of the light coming on briefly when this setting happens. Imagine all of the lights around your house all of a sudden briefly flickering every time you want to change the default dim level. Hold down top part of dimmer to brighten, hold down bottom part of dimmer to dim. - For some crazy reason one of the light dimmers I bought has a tiny little up/down switch in addition to a paddle. It’s very hard to adjust this up and down and I really dislike it! I’m willing to replace all of my dimmers if we can find something that meets these criteria. Just haven’t found one yet! Check this one out. You’ll have to set up an automation for the ‘double-tap’ but it allows double and triple tap both up and down. Any idea if you can disable the LEDs on the side of the switch with this? I believe that first requirement may be able to be accomplished based on a custom DTH but I’m not sure. There are no settings to turn off the side lights, though they only show when the light is on. That DTH you linked has shortcuts to allow you to assign Double-Tap (Up) or Single-Tap (Up) to go to full brightness, as well as other options without the use of a separate SmartApp. "The WD100+ dimmer device handler includes preference options for the device firmware capabilities to set local and remote ramp rates and to reverse the dimmer direction. " “Local” is the keyword here, so I’m hoping it will work! Just ordered off of Amazon just in case so I can return it. Being able to set device parameters for various Switch preferences through firmware configuration does not necessarily mean you can change those values on the fly based on things like time of day. It usually means you can run a one time configuration step which then saves those values in the switch, but they don’t have schedules and they require physical manipulation of the switch to save the values each time. So I don’t think that’s going to do what you want in those cases. The Leviton form factor is definitely unusual, but that’s for the older devices. 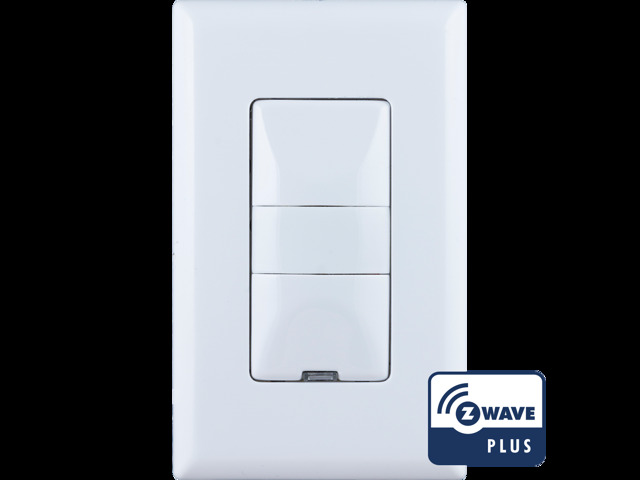 Their newest Z wave plus switches have the rocker style where you tap at the top for on and at the bottom for off. You can find some more information on different switches in the device class FAQ, but again, I don’t know of any that meet the requirements that you set out. It’s easy to do if the lights are changed based on an automation controlled by the system, including the lights coming on because of a motion sensor or time of day. But I don’t know of one that saves the schedule for manual operation of the switch on the wall. The light switch discussion starts around post 40. Many people do control the brightness of the light based on time of day, we do at my house, but those are lights that are triggered by a motion sensor. People do use a multi button wall switch for this purpose, with button presets for different levels of light, and then when they manually use the switch they just hit the button that is associated to the preset that they want. Some of those are battery powered, so you can use the regular Z wave switches to control the current, and use the multibutton device for preference whereever you want to put it. But I don’t know if adding a second device would meet your requirements. 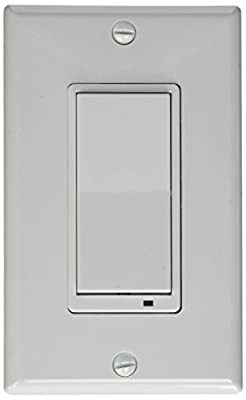 Similar to the popular multibutton device option, you could definitely create schedules by using a dummy switch at the wall and an in wall micro to actually control the fixture. The Linear/go control WT500 is intended as the auxiliary switch in a virtual three-way, and does not control the load. It’s very popular in the community as a mains-powered wall switch to control smart bulbs. But you could do exactly the same thing with a micro to control the fixture. Because the gocontrol Switch sends the message to the hub and then the hub sends the message to the micro, the dim level schedule based on time of day could certainly be inserted into the on message. But that solution requires two devices for each fixture (the load control device at the fixture itself and the dummy switch on the wall) so it’s more expensive. And, you’re not going to get double tap from it. Also, because the wall switch is not load controlling, if you do have any problems with your home automation system or your Internet, the wall switch will not be able to get a message through to the relay, so the light will stay in whatever state it was in when the failure occurred. There are some ways around this, but they add more devices and more complexity. So again, not a perfect match, but I just mention it in case it does fit any of your specific cases. You could go to a smart switch cover instead, which leaves the original switch available in case of emergencies, but my feeling based on your other comments about aesthetics is that you aren’t going to like that one. So if I were working on this project, I think my first suggestion would be to take a look at the multibutton options. There are a lot of different styles to choose from, and it gives you the most choices. I believe the new ge dimmers do all of your wants. I just noticed that there is a parameter for default dim level that I am currently working into the device handler. GE 26933 is the model I’m working on, but I believe the ones without the motion sensor would also allow this. Hi there! Will you please post back on here once you finish the device handler and I’ll give it a try? I’m still going to try the Homeseer dimmer but would be nice if I didn’t have to replace my GE dimmers. Sure, but so you know… if you have the older GE switches you would have to still replace your GE switches with the new GE plus line. Either the 14xxx or the 26xxx. I have moderate experience with CORE and have a number of pistons running without issue. The issue I’m having is I don’t know which dimmer capability will set the local dim level without the light coming on. I’ve tried three different settings (see screenshots) but every time the piston executes, it sets the light to 30% and the light comes on. Don’t want the light to come on, just want the new dim level to be 30% when someone single taps the dimmer to turn the light on next time. Any ideas? Thank you for everyone’s help so far. Loving your new dimmer (HS-WD100+) and the double tap is working great! However, I bought your dimmer hoping that I would be able to set the local dim level without the light coming on. At 8pm every night, I want to set the local dim level to 30% so if someone comes into the room and single taps on the light it goes to 30%. Unfortunately, running a script to turn it on to 30% and then turn it back off immediately results in the lights all over the house flashing. 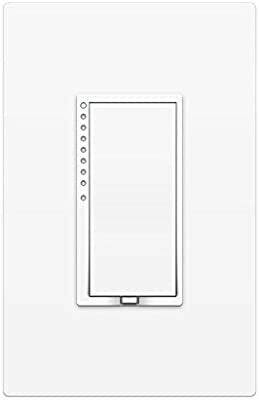 I made a forum post about finding the perfect dimmer here and your dimmer was top selected by the community. (pretty short post, 5 min read max) However, the community thought that there would be this capability. I think I could get a lot of good press for your dimmer on this post if somehow this capability was available. Unfortunately, there is no way to configure what you are looking to do. The closest suggestion I can offer would be to create an event (a scene in Smartthings) such that 'if the time is after 8, and the switch is activated for single tap on, then turn the light at 30%. This will likely cause the switch to turn to its last dim level and then back down to 30%, but the functionality that you described simply does not exist. Otherwise, you could create an event to turn the dimmer to 30% at 8pm, then turn it off. At that point, when the switch is later turned on, it will be at 30%. Oh yeah, forgot about this. I’m mostly done. In fact your post inspired me to set this up throughout my house. So now the default dimmer setting is set throughout the day based on the outdoor lux. The light will turn on initially at whatever setting is appropriate for the lighting outside. It is really pretty awesome. The last thing I need to do is figure out how to let the user set if they want this setting to override the typical “setlevel” command. Typically when you use the “setlevel” command it sets the level and turns on. In this case, we would prefer to setlevel and not have the light come on, which is how I have it hardcoded to do now. However this should still be configurable by the user. Over the long weekend I’ll try to sort out this last issue and update the device handler. Maybe set the level at 5% a specific time using webCoRE and then immediately turn it off. Then use the example below based on whether or not the switch was changed physically or progammatically. Seems a little strange, it’s unavailable on there… Is this the right one? Looks quite a bit different than the regular ones. That’s the new one, it has a built-in motion sensor. The 12 series are the older Z wave classic devices. It was a dimmer, a binary switch, both in rocker and toggle form. The new 14 series are all using zwave plus. In addition to a dimmer and a binary switch, there is also a new line including the “occupancy” switch model with the built-in motion sensor. The 26933 is the one I have developed a device handler for. It looks odd, but like @JDRoberts said the reason is it is also a motion sensor. You can set it to occupancy mode, vacancy mode or manual as well. I just looked over the 14 series switches configuration values here and do not see the default dim setting. It seems only the 26933 has this parameter that I have seen. Also I picked mine up from newegg. 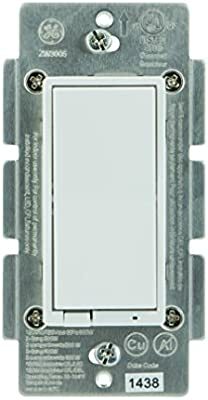 Buy Z-Wave In-Wall Smart Motion Sensing Dimmer (26933) with fast shipping and top-rated customer service.Once you know, you Newegg! As always, thanks to the community for helping here!